What’s happening to the Hayes Place flats? The former warden-assisted flats at Hayes Place, Bourne Vale, are now disappearing behind hoardings as builders prepare to demolish the blocks. Developers will then build twenty-six new houses and eight flats under plans that were eventually approved, after a number of revisions, nearly a year ago. The new development, for Affinity Sutton, is the culmination of a long process which, after intervention by your local councillors, saw a notable reduction in the number of units to minimise housing density on the site, and the inclusion of flats that will be particularly suited to the elderly or less able-bodied residents. 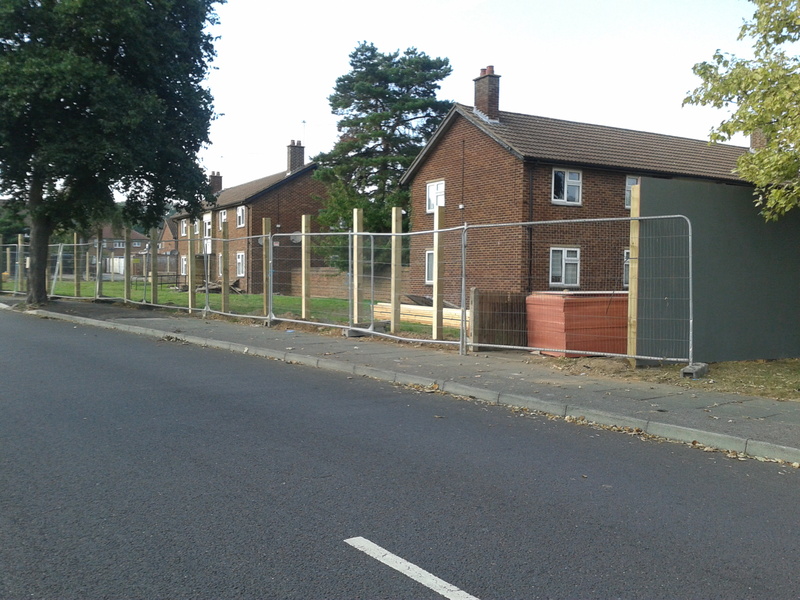 We are aware that local neighbours are concerned at the parking situation, particularly in Chilham Way, and the mess that is arising from the works, as well as the area of the green being used by the builders. Although this is of course a temporary situation we will be watching closely to see that the impact on the local area is minimised as far as possible.